It is pleasing to report that Crosby and I survived our first night away on our own. 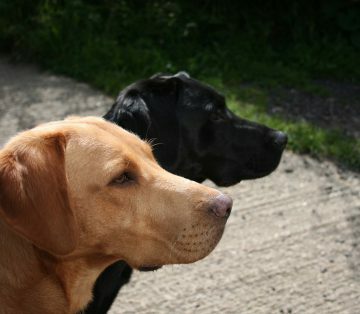 As soon as I have completed our daily chores around the caravan and made a picnic we are ready to head off walking. 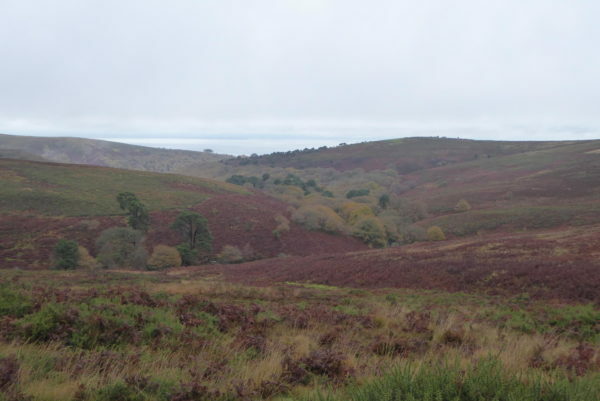 I have decided to walk on the Quantock Hills today, exploring an area on the east side of the hills that I have not previously visited. 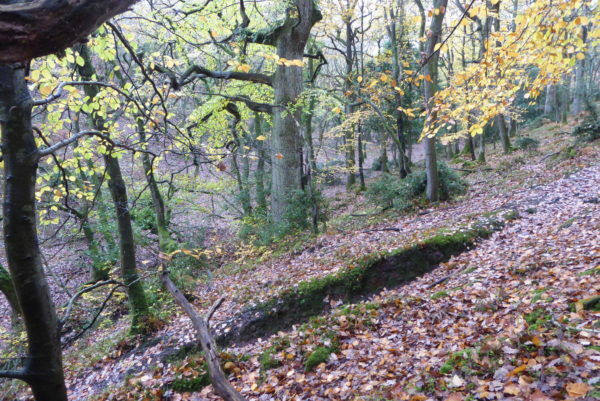 Parking at the familiar Dead Women’s Ditch I initially head south and then turn left to follow the easterly path besides beech trees. At a junction of paths I turn left to head back towards the minor road and then follow a path eastwards running parallel to the road. Reaching disused quarries I have to join the road and continue steadily downhill to Bincombe Green where I take the lane through Bincombe to reach the outskirts of Nether Stowey. As I enter Nether Stowey I fork right on a lane and then turn left on a footpath to walk up to Nether Stowey Castle. The information board explains that Alfred of Spain built the castle in the early 12th century. 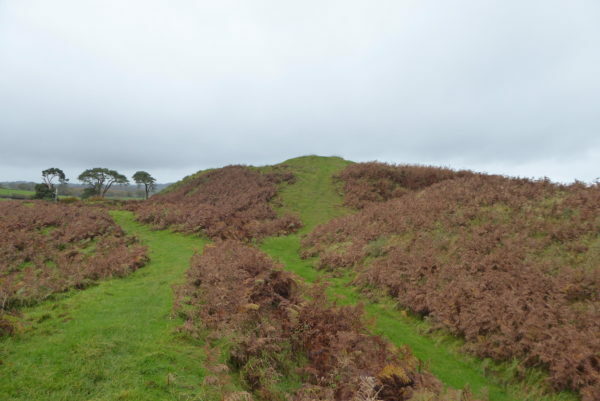 It is a great example of a motte and bailey castle and it is a fascinating place to wander around. 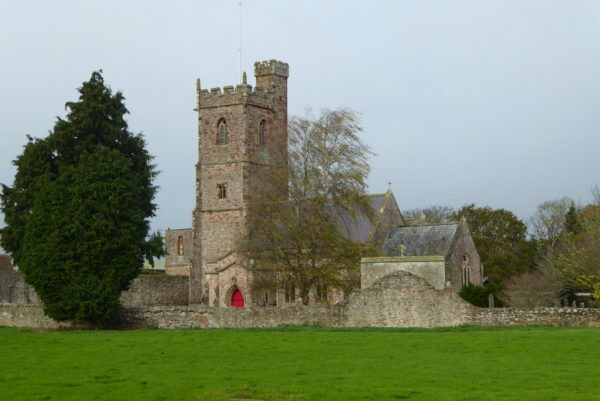 It was only occupied until around 1450 after which it was abandoned. I walk into Nether Stowey and realise, that despite having spent many years exploring this area, I have never visited this village. It is a cracker with some stunning buildings. 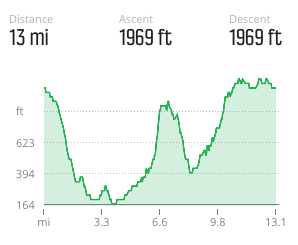 My route takes me past the clock tower built in 1897. I take a turn to the right and head out of the village passing the fire station and then crossing the A39 to enter what until a few months ago was the car park for Cricketers Farm shop. However, following a fire in September the farm shop is closed. 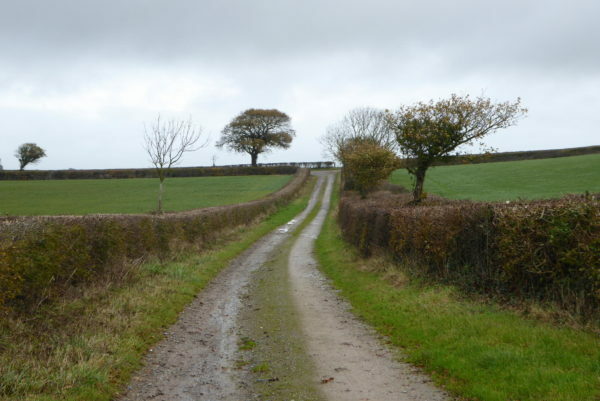 I join a footpath at the far left of the buildings that leads around the farm buildings to join a track; turning left I walk up Pinnacle Hill. 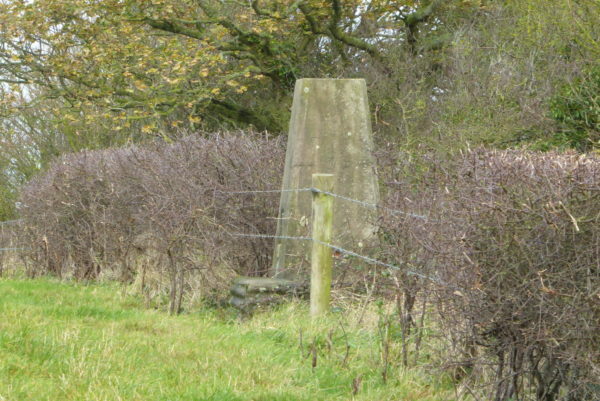 At a junction in the track I turn right and walk to the summit of the hill with its trig point. 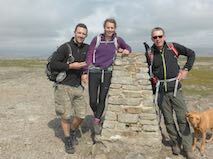 This is the fortieth OS trig point I have bagged. I continue on the path down the hill turning right at a junction of footpaths to follow the track to Budley Farm. Here the path turns left to the reach the A39 close to the driveway of Stowey Court and the Church of St Mary the Virgin. 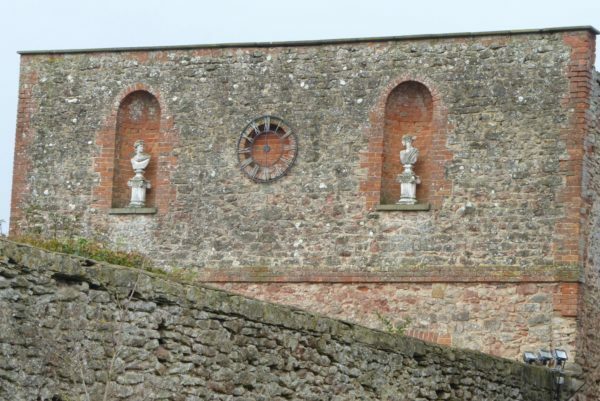 I detour along the driveway to wander around the churchyard and take a closer look at the ornate statues in Stowey Court, which can be seen over the high wall of the graveyard. 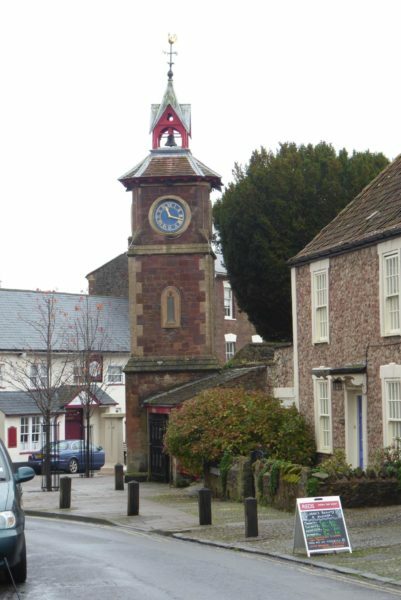 From the church I walk back into Nether Stowey, at the fork in the road by the clock tower I go right and walk through the village to pass Coleridge’s Cottage. 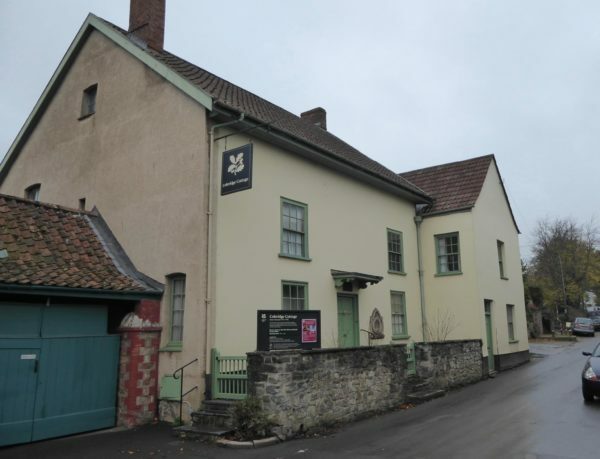 The poet Samuel Taylor Coleridge lived in this house from 1797 to 1800, The National Trust now own it . Continuing along the road I turn left at a junction and then left again to follow the road with Stowey Castle to my left. I am heading out of the village and soon join the road I had entered from. 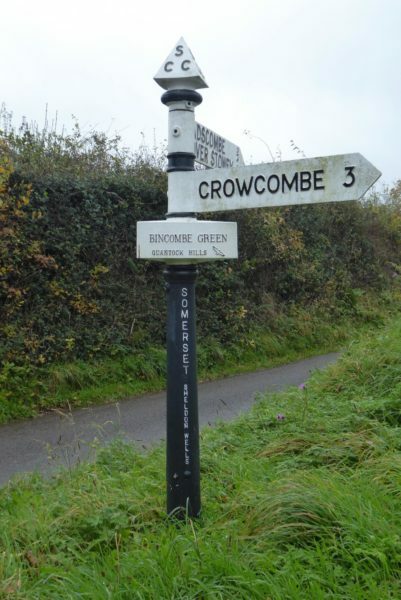 Before reaching Binscombe Farm I take a footpath on the right marked for the Coleridge Way. This path follows a stream and on reaching a track I continue straight on to enter Bin Combe, I have now left the Coleridge Way, which turned right to follow the track. 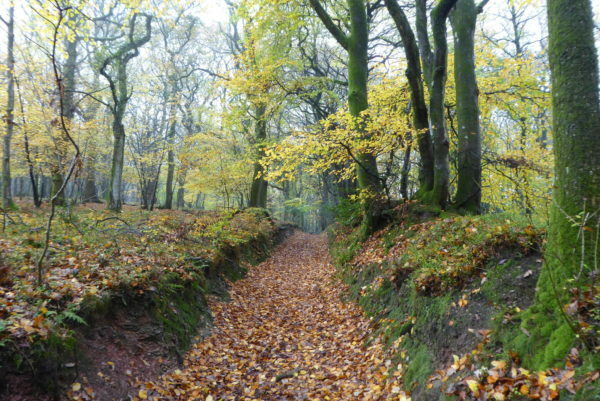 Bin Combe is a typical Quantock Combe, steep, tree-lined sides and a track that has been used for centuries running besides a stream along the valley. I find a suitable fallen tree to stop and have my lunch and enjoy the tranquillity. The only sound is bird song. Starting off again I take a track that climbs ferociously out of the Combe to reach a minor road, here I rejoin the Coleridge Way just beyond Walford’s Gibbet. Apparently the place is named after local resident John Walford who in 1789 murdered his wife on the hill following a visit to the nearby Castle of Comfort Inn. Found guilty of murder he was executed on the spot where he committed the crime and his body was left suspended in a cage from the gibbet for a year and a day as an example to other miscreants. 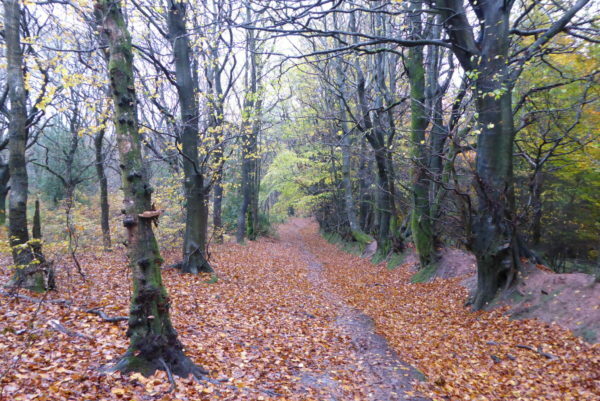 I continue through woodland on the Coleridge Way, which eventually reaches open moorland below Dowsborough Hillfort. 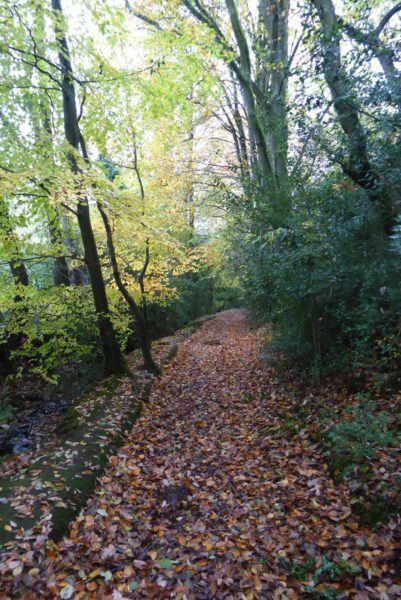 I stay on the main path turning right when I meet a path descending from the hillfort and follow this path towards Holford. This is a familiar route I have walked many times. 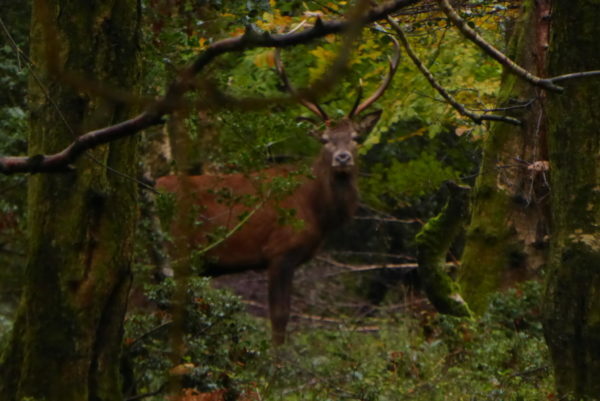 Entering woodland I meet a herd of Red Deer. Previously when this close they scarper pretty quickly but this herd do not seem too perturbed by our presence; particularly a stag who stands and watches us closely from about sixty yards away. 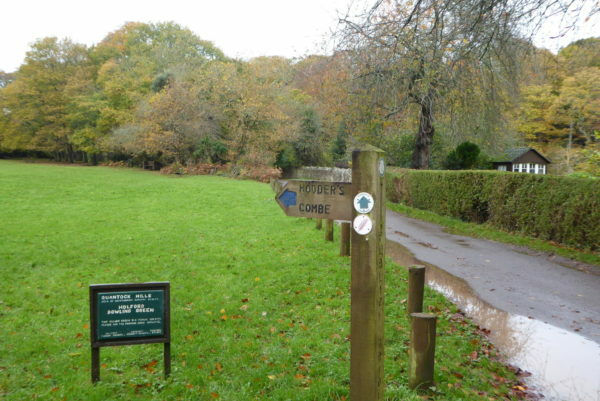 I walk into Holford and follow the roads through the village to reach the bowling green and the start of Hodder’s Combe. 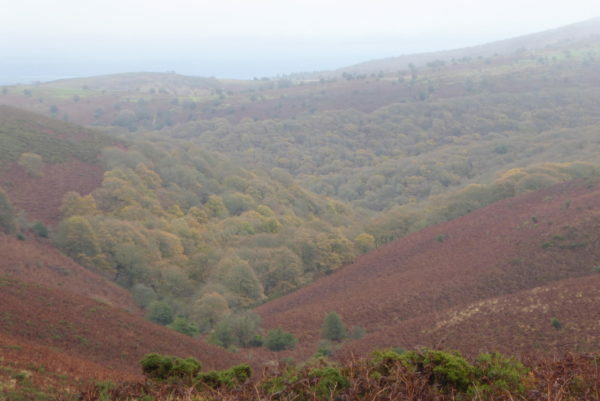 I have walked up this combe many times, it is an absolute delight, at the junction of paths I fork right to follow the path running by the stream as it heads to Sheppard’s Combe, from here it is a steady climb up to Bicknoller Post. I have been here on numerous occasions, but never tire of the view. I turn left, following the broad track as it heads south above Slaughterhouse Combe, low cloud sweeps across reducing visibility for a while and then clears giving a cracking view of the Combe. At Halsway Post I fork to the left along the track leading back to the car. 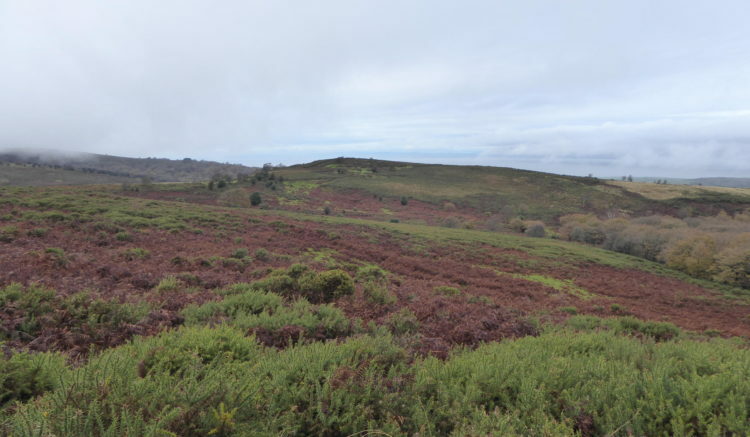 It has been a cracking walk, covering fourteen miles and apart from a couple of people in Nether Stowey and a couple of mountain bikers in the distance I have not seen a soul. Such stunning countryside and there is hardly anyone out enjoying it!